Looks like 2018 was the year of the handmade toy for me! I love making things for my daughter. There is nothing quite like seeing Claudia wear something I’ve made just for her, but as nice as handmade clothes are, it’s the toys that really get her attention! I’d definitely feel like I was letting her down if I didn’t make something for her birthday (it can be an ugly-crying snotty mess when mummy guilt and lofty ideals collide over a Pinterest board of dreams!). 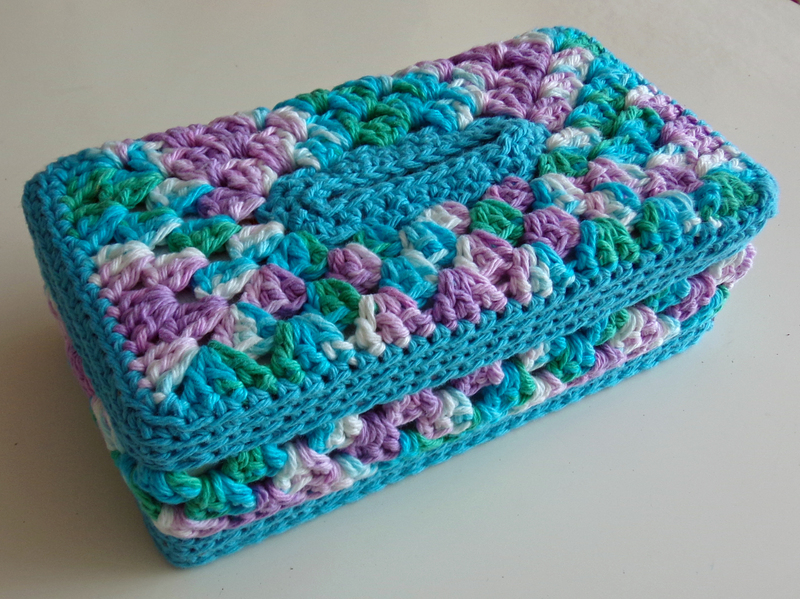 Granny Panel Tissue Box Cover – new pattern! I always like to make presents instead of buying them, but Fathers Day managed to sneak up on me this year. I needed to make something for my Dad that would be quick to make, and something he might actually use! My mum had suggested a tissue box cover to hide the tatty looking box that he kept by his armchair, and I was pretty sure I had a pattern for one in a magazine somewhere, but I couldn’t find the damn thing anywhere! So I improvised one, and it turned out pretty well. Dad was pleased I’d made him something, and Mum was happy that the offending box of tissues was now hidden. I decided to give the design another go, taking notes this time, using the same cheep and cheerful (and very fluffy!) aran weight acrylic I used for my dad’s present. Again, it was pretty good but the yarn wasn’t quite right for the project, and I was running out of what few colours I had. So I turned to my stash of gorgeous Lily Sugar n Cream worsted weight cotton and with a bit of fiddling about I came up with this!